The car from Volkswagen has a range of 300 kilometers. It is especially popular in Norway. Dresden. 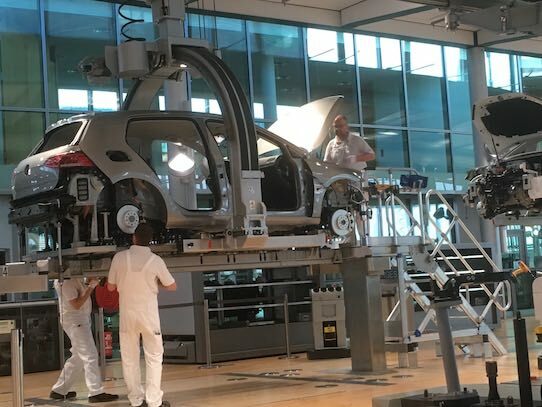 After six month of reconstruction of the Transparent Factory recently the first eGolf rolled off the production line in Dresden. The electric car is delivered to a customer in Norway. 800 additional cars will be sold there as well. Besides Germany, Austria and France, the scandinavian country is the main market for the car. In 2015 it was the most sold car in Norway, and in 2016 it ranked 3rd. 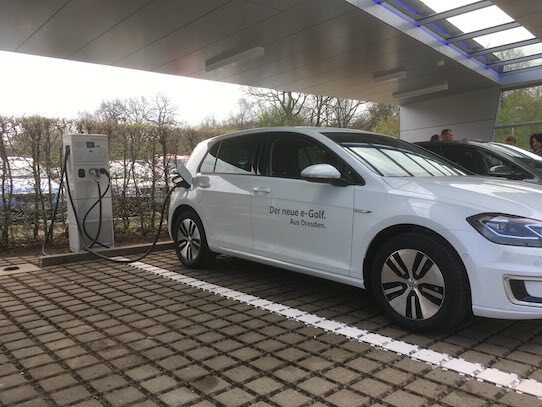 The first eGolf from Dresden is white and has 136 horsepower. According to Volkswagen (VW) it has a range of 300 kilometers. However, this is an ideal value. Depending on speed, driving style and geographic conditions, the real range is around 240 or 250 kilometers. The car costs 35,990 euro. 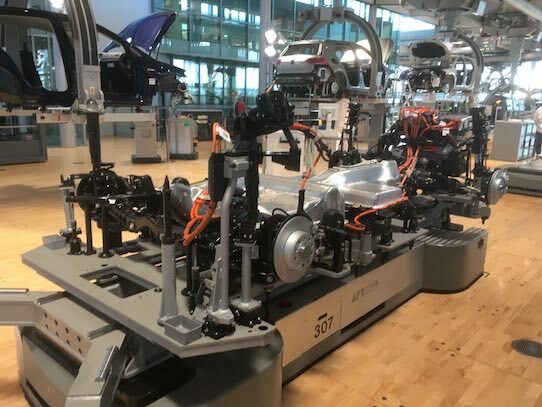 Starting in May 35 electric cars will be produced every day in the Transparent Factory in Dresden. 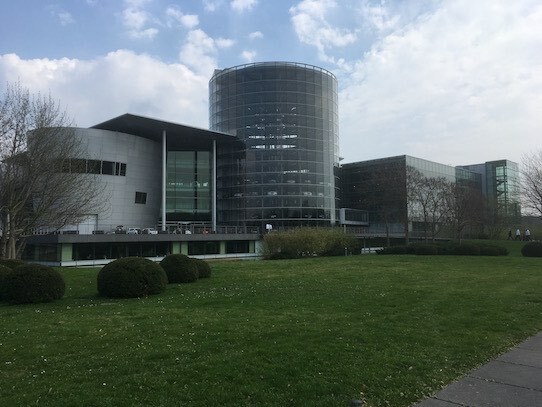 The other – and bigger – factory is in Wolfsburg. 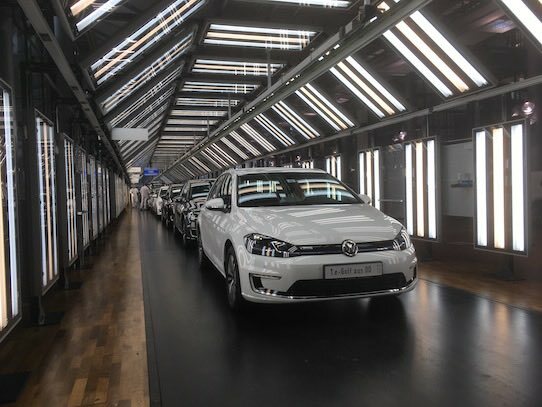 VW invested 20 million euro to reconstruct the Transparent Factory that was initially built in 2001 for the manufactoring of the luxury limousine Phaeton. „Today marks a milestone for the Transparent Factory on its way to become ‚The Center of Future Mobility‘. For Volkswagen the age of electromobility begins now in Dresden,“ the new plant manager, Lars Dittert, said. With the launch of the eGolf at first 250 to 300 employees will work at the site. The plant operates for the moment in one shift mode. The start of production in Dresden is part of the Volkswagen brand’s electrification offensive. In the future, e-mobility is to become a trademark of Volkswagen. The major electrification offensive is due to start from 2020. 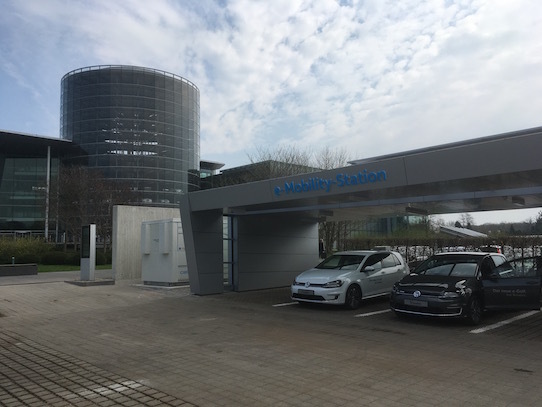 The newly built e-mobility station in front of the Transparent Factory was also commissioned in the presence of Dr. Robert Franke, Head of the Economic Development Department of the City of Dresden. Power for the two charging units (4 x 50 kW; 2 x 43 kW), which allow the simultaneous use of four charging points, is to be taken from six photovoltaic panels at the Transparent Factory, each with an area of 22 square meters. The vehicles charged here will therefore be operated on a virtually carbon-neutral basis. The charging points, protected by an carport, will be accessible to the public. 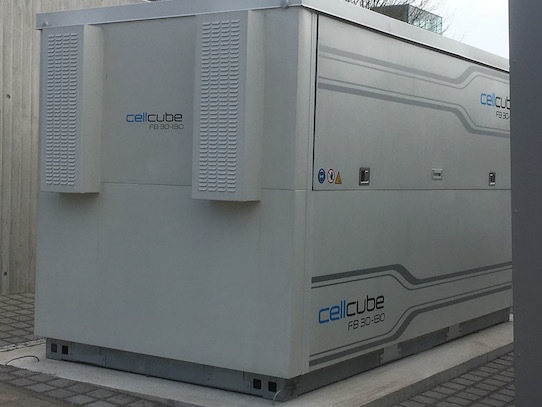 As a special feature, excess energy is to be stored in a long-life battery with a capacity of 130 kWh or fed to the power grid at the plant. 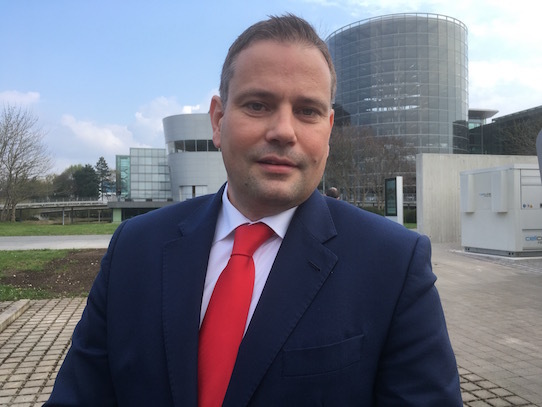 Following the start of production, Lars Dittert (43) was also presented as the new plant manager of the Transparent Factory. Dittert studied industrial engineering in Dresden before joining the production controlling department of Audi in Neckarsulm. He then spent four years with Skoda Auto in Mladá Boleslav, where he was head of sales and participation controlling. 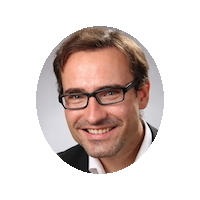 Most recently, he managed the controlling department of Volkswagen Sachsen. 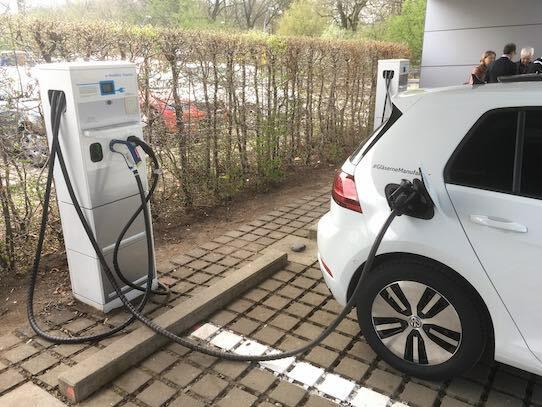 Recently, Volkswagen Sachsen and the City of Dresden agreed on a comprehensive partnership to foster e-mobility and digitalization which is to make Dresden a model city for Integrated, sustainable urban mobility. 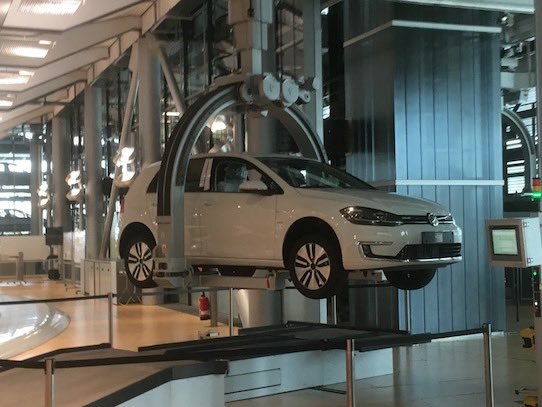 In addition to the Autostadt Wolfsburg, the Transparent Factory is to become a delivery point for the electrified models of the Volkswagen brand, the e-up!3, e-Golf, Golf GTE4 and Passat GTE5. A year ago, the Transparent Factory was opened as a „showcase for e-mobility and digitalization” for visitors and customers. More than 30 exhibits and vehicles currently give an impression of the mobility of the future in an interactive, playful way. In 2016, the facility was visited by more than 85,000 people and more than 2,300 potential customers went on test drives with electric models. Previous postThese men know how to win every tender Next postLooking for a machine? These founders can help you.